Payday studio Overkill announced in the summer of 2014 that it had begun work on a co-op FPS, “with elements of action, role-playing, survival horror, and stealth,” based on The Walking Dead. (The comic, that is, not the TV series.) It was originally slated to come out sometime this year, but Overkill parent Starbreeze Studios now says that it won’t be out until the second half of 2017. That’s a significant delay by any measure, but the reason is a good one. Word of the postponement was tucked into a larger announcement of a $40 million investment in Starbreeze by Korean gaming company Smilegate, which gives Starbreeze rights to develop a new co-op FPS based on the Crossfire franchise for Western markets, and will also allow it to release Payday 2 and The Walking Dead on Smilegate’s platform in Asia. There are other business-y elements to the deal, but the bit that’s especially relevant to our interests is that all that fresh, sweet green being showered on Starbreeze will mean a bigger (and, hopefully, better) zombie game from Overkill. 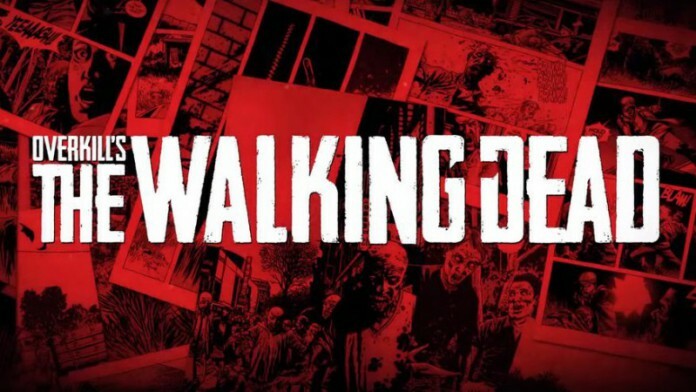 Hopefully this means that Overkill can afford to give its Walking Dead a proper subtitle, too. Next articleTwo planks or a tray?